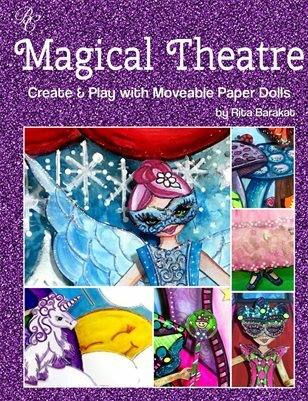 Create and Play with Movable Paper Dolls! What’s inside… Incredible designs by, Rita Barakat. Full-color, cut-out paper dolls. Full-color backgrounds, clothing and accessories. Fun themes. Black and white options, so you can color your own. Print out as many as you’d like! It’s an endless supply of paper doll fun.